From The life of our blessed Lord and Saviour Jesus Christ: An heroic poem: dedicated to Her most sacred Majesty. In ten books. Attempted by Samuel Wesley, rector of South-Ormsby in the county of Lincoln. Each book illustrated by necessary notes, explaining all the more difficult matters in the whole history: also a prefatory discourse concerning heroic poetry. With sixty copper-plates by Samuel Wesley. London : printed for Charles Harper, at the Flower-de-Luce, over against S. Dunstan's Church in Fleet Street, and Benjamin Motte in Aldersgate Street, 1693. The story is an elaborated composite of separate passages from the Bible. 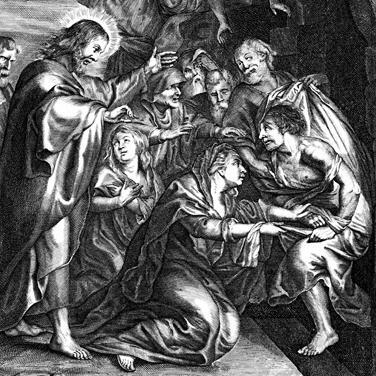 Wesley identifies Martha's sister Mary (Mary of Bethany), with an unnamed sinful woman, and Mary Magdalene. Of Mary of Bethany he writes "I know it is controverted, whether this Mary were the repenting Magdalene; but it is enough for me that some great divines have been of that opinion." The Saviour's hastening to his journey's end. Strong, and refreshed, to Olive's mount they go. And thence survey the city stretched below. Thy happy walls, delightful Bethany! Where mutual kindness filled each breast before. And turned their faith and hope to things above. And cherished virtues which adorned her name. But hapless Mary had at courts been bred,"
Against those arts which murder innocence. Her soul subdued by vanity and pride. And seven black demons seized her guilty breast. These hell-bom fiends the Saviour chased away. From a deceiver's to a Saviour's arms. Her crimes were great, and much she wept and loved. And by her brother was with joy received. Walks, and declares his skill can do no more. But looked in vain for what no art can give. To dry their tears, and make their brother live. Him whom he loved from sickness or the grave. Christ in reply forbade them to despair. Should spread the glory of the God they loved. He, notwithstanding, his approach delayed. And, though requested, at a distance stayed. 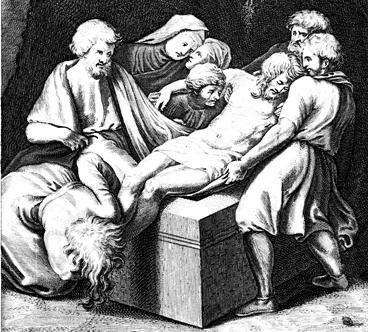 And his remains were lodged among the dead. Condole the sisters, and their losses mourn. The tidings reached them that our Lord was near. And even now, such is my faith's degree. Ask what thou wilt, and God will give it thee." 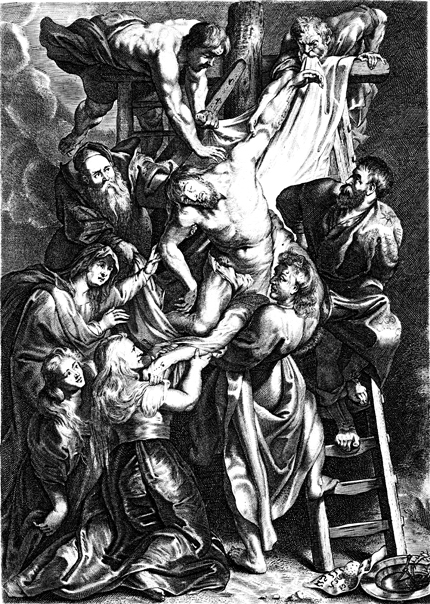 The Saviour, struck with sympathetic pain. Replied, "Thy brother shall revive again." That final hour when all must find it true. Recount his virtues, his good actions tell. And only sigh to live and die as well. When these perceived that Mary went in haste. They also rose, not knowing what had passed. And fully bent to soothe the weeping pair. Walked to the grave to pour their sorrows there. Mary, whom Martha to the Saviour bore. "Hadst thou been here, my brother had not died." He wept like man the loss of what he loved. Devoid of life, a sordid lump of clay. And showed the marble that concealed his grave. And bade the people roll away the stone. Jesus replied, "Believe, and wonders see. And humbly these events consign to me." The stone removed, to Heaven he lifts his eyes. Before spectators in the face of day. Pronounced augustly, " Lazarus, come forth ! " These, while their looks astonishment betray. Unloosed his fetters, and he walked away. Looked on each other, then on Christ, amazed. Upon his neck the ravished sisters fell. Half dead with joy that Lazarus was alive. The Jewish elders his destruction sought. And found a shelter in the desert shade. In pious deeds his happy moments spent. The high commands of his great Father's will. Simon a friendly interview desired. Where shut from man infectious lepers dwell. Had quite restored him to a healthy state. And near Bethany, his father's seat. Had cherished virtue on his own estate. The great Physician who restored his health. And Laz'rus and his sisters would be there. To this request the Saviour, in reply. Life's lawful pleasures he vouchsafed to taste. And all the virtues of both worlds embraced. Where Tyrian carpets overspread the ground. The dear-bought work of Sidon's noble loom. Which in their breasts excited much surprise. It frowned almost as dreadful as before. That all the figures seemed to weep and move. Here in a plain the flaming cities glow. And there spectators into statues grow. The skillful artist marks as pale and dead. Fade while you look, and into paleness grow. Part of her hair death seems in chains to bind. And part appears to waver with the wind. And one seemed fixed by cogent fetters there. 'Twixt death's encroachments and expiring life. And while you gaze, no more of life is left. Yet in her face, fear, anger, pity, strive. As skillful artists make their marbles live. Not far before the good old man appears. And moistens with his tears his silver hairs. See them scarce lodged in little Zoar's walls. Before from clouds the ruddy vengeance falls. The falling fire and brimstone represent. With fearful shrieks they seem to pierce the sky. And mourn for their inevitable fate. "Learn, mortals, hence, by this example given. To dread the wrath of sin-avenging Heaven. In flames like these Gomorrah's sons expire." Martha and Mary to the banquet come. And all attention from the painting takes. And all his soul in looks and words expressed. And tears effused, in homage on the ground. With deep contrition smote her heaving breast. As though unworthy of the ground she pressed. With her some costly essences she brings. Which would have raised her in the eyes of kings. Abandoned man, who seeks licentious ease. While from her eyes distils a grateful shower. And flowing tears a richer fragrance pour. Then with her ringlets, which, in curls displayed. Had once for man delusive fetters made. And spreads that essence some conceived a waste. To better use if by the poor enjoyed." For while pretending to afford relief. 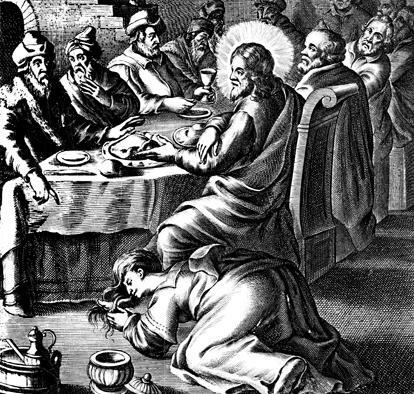 His views were selfish - Judas was a thief. Our Lord, who knew the workings of his mind. Spoke of his exit to impart new light. "This precious ointment, which, with too much haste. Has been," he said, "by some imputed waste. A mournful truth which all will quickly find. How Mary paid the gratitude she owed." The sad apostles hear these painful words. Yet none the anguish of his soul expressed. Or asked the Saviour to unfold the rest. That night at pleasant Bethany they stay. Where gathering crowds proclaim themselves his friends. See there the height to which his soul aspired! See there the pomp which Salem's king desired! To grace his triumph in a car of state. By angels worshiped, and by saints adored. Hence Rome's proud pontiff may this truth discern. That he from Christ ambition did not learn. The great, unknown, tremendous mystery. And rescue rebel mortals from despair. Complete the number of the heavenly host. And awful wonder not to be expressed. New songs are heard, and wonted harmony. Sweet Muse, return, and hover on the wing. Go weep like Magdalene before he died. And say, like her - "My Love is crucified." Once bathed his feet, and wiped them with her hair. For all the follies of thy youthful days. See what they cost, "thy Love is crucified?" 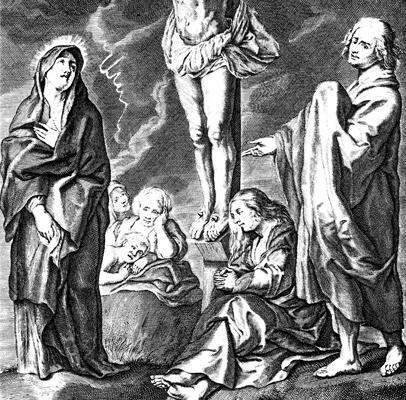 Jesus is crucified as his mother Mary, Mary the wife of Clopas, Mary Magdalene, and the disciple whom he loved watch. Before the sun fair Magdalene arose. Resolved to rescue from the putrid grave. And fill with unguents, him she meant to save. Their love was stronger, and they walked along. 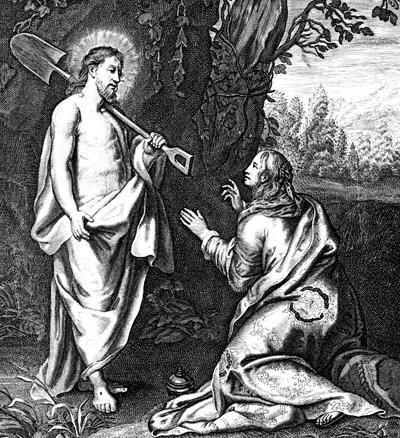 And reach the garden which contained the tomb. Started at once, and much perplexed them here. They recollected that a ponderous stone. Had been procured, and, placed before the cave. And by a seal their whole design secured. And thus forbid him to escape the tomb. Life shall revive this uncorrupted clay." Nor longer Hades could his soul contain. A conqueror thence he rose where late he fell. And dragged in chains of triumph death and hell. Her sovereign Lord, he willed the stone away. Their rising Master wanted not their aid. In silent Majesty his form ascends. And in his triumphs the great contest ends. The rising God let saints and angels sing. Or bask in bliss before the throne of God! Thus from dead winter mounts the cheerful spring. Awake, ye dead; ye sinners, sleep no more. Awake, ye careless, from enchantments deep. And sleep no more, or else forever sleep! Who with mistaken tears his loss condole. And flitting forms seemed brushing by their side. On their approach the guards celestial stand. A lane is made till all the pomp goes by. He rolls it, and triumphant sits thereon. Their useless piles, suspended in the air. Fear seized their souls, their hands disarmed they found. And all their armour clanks against the ground;"
And in some moments all appeared as dead. Laid by his frowns, in mildest accents spoke. Guards whom you seek - your suffering Lord, and ours? Or idly seek the living with the dead? Your Saviour God, who lives to die no more. Did not he promise the third day to rise? The linen clothes and empty sepulchre. And to your friends the happy tidings show." Anxious to know, yet fearful to inquire. While to their friends the others haste away. She, all intent her much-loved Lord to find. Her mind, which struggling thoughts like earthquakes move. Tortured at once with hope, and doubt, and love. The tidings seemed too glorious to believe. Which she imagined was the gardener near. She, as he came, suppressed the rising sigh. Tell me in pity where his limbs are laid. And in his face she saw the Godhead blaze. And adds in words - "Suspend thy ecstasies. Go, tell my brethren that I hold them dear. Though partly sunk in unbelief and fear ; "
And having charged her this request to bear. Glides ftom her sight in fields of trackless air. They thought the vision by her fancy made. Or conjured up by some delusive shade. A fact which none were able to explain. John, while the others much attention lend. Seemed most concerned, as Christ was most his friend. Thus broken bones, by skillful artists dressed. In a few moments to the sepulchre. A work confessing neither fear nor haste. But both in triumph to the rest return. For all were filled with terror and despair. Which left the whole without one gleam of light. The doors were shut, lest the malicious Jews. And this was hidden, lest it should betray. And bright celestial light, the God confess. His voice was heavenly, breathing peace and love. His wond'rons words, which life and light convejred. And struck new gladness whereso'er they went. Christ, having banished thus their doubts and fears. Breathes peace into their souls, and disappears.